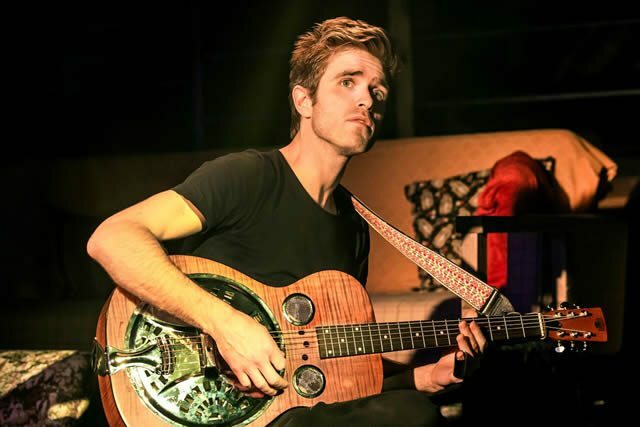 After a hugely successful run at the Menier Chocolate Factory, Kyle Riabko’s love letter to all things Burt Bacharach has now transferred to the Criterion Theatre, taking over a theatre so long occupied by The 39 Steps. It’s also had a name change, from What’s It All About? 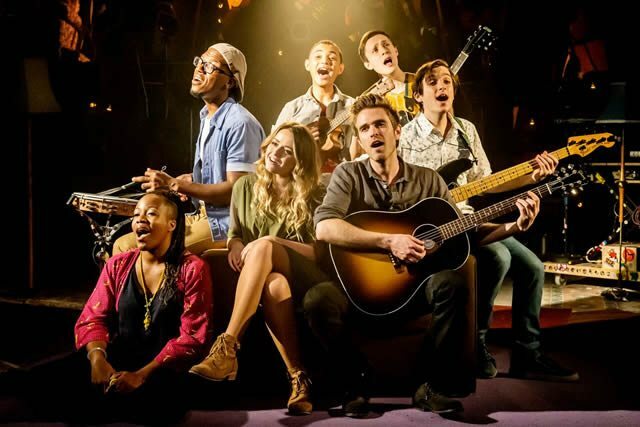 to Close To You: Bacharach Reimagined but otherwise remains the absolute pleasure that succeeded so well off-Broadway and off-West End to finally take a moment centre stage. Co-conceived by Riabko and David Lane Seltzer, the show eschews any kind of formal narrative to simply present reinterpretations – some radical, some just refreshed – of the inimitable genius of Burt Bacharach’s extensive songbook. Over 30 songs are included here, classics like ‘The Look of Love’, ‘I’ll Never Fall in Love Again’, ‘I Say a Little Prayer’, ‘Magic Moments’ and so many more The smile that appears on the face at the sight of that song list is one that won’t ever leave whilst watching this company work its wonders. A large part of that success is down to director Steven Hoggett of Frantic Assembly, whose free-flowing choreography is threaded throughout the show so that even the changing of a guitar becomes a loving caress, the turn of a head a synchronised syncopation, the simple moving of a chair an evocation of loneliness. So even though there isn’t an overarching story that leads from start to finish, there’s still plenty of method and meaning in the staging of the songs, particularly effectively when the revolve is used. Though there was never any doubt in the quality of the song-writing, what Riabko and co demonstrate is just how strong it is; equally able to take the thrashing of an electric guitar (in a raucous ‘Do You Know The Way To San José’) and the gentle strumming of a ukulele (in the beautifully shimmering rendition of ‘Close To You’). The show’s highlight comes with a sequence that commences with a tingling full company ‘Magic Moments’ leading into Anastacia McCleskey’s scorching, magnificent take on ‘Don’t Make Me Over’ then to Stephanie McKeon’s gently heart-breaking ‘Walk On By’. The repeated refrain of “what’s it all about?” from ‘Alfie’ acts well as a linking device, guiding us gently into these arrangements which though they may occasionally startle, are mostly most charmingly done. Personally, I could have done without the hackneyed ‘What’s New Pussycat’ which sticks out, all sledgehammer rather than subtlety but in the midst of the enchanting set design from Christine Jones and Brett Banakis, it is impossible to resist being swept up in the glorious atmosphere here with moments that really are magic.